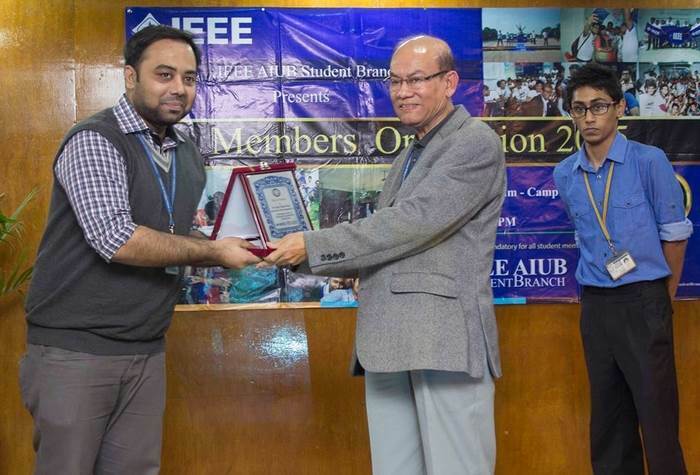 Saturday 14 February 2015 IEEE AIUB Student Branch organized “Members’ Orientation 2015” on 31st January 2015 in AIUB Auditorium to welcome the new members and enlighten them about IEEE as well as IEEE AIUB Student Branch. 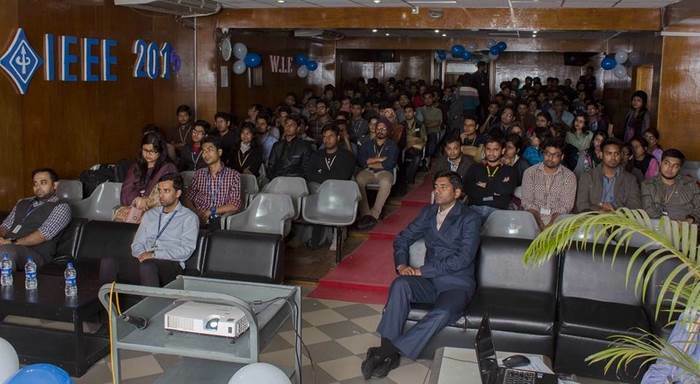 Being the largest student branch of Bangladesh IEEE Section of over 200 members from both EEE and CSE department, the event aimed to encourage the students to participate actively in every upcoming event of 2015. 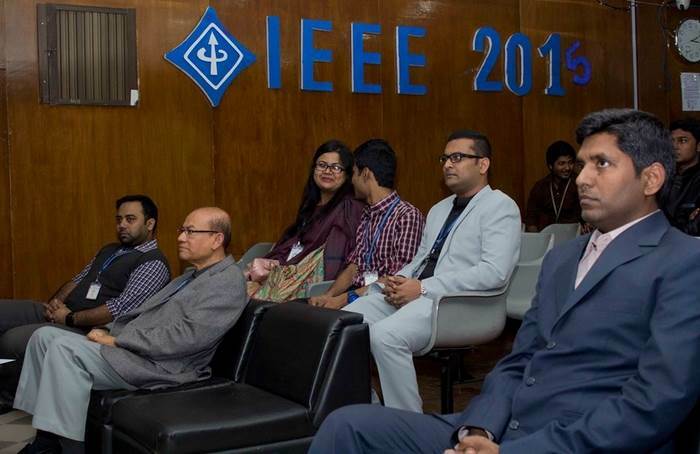 Dr. A.B.M Siddique Hossain, Dean, Faculty of Engineering officially began the orientation by inspiring the students in their field of study and appreciating IEEE AIUB Student Branch for being an effective medium between the students and the global scope of Engineering. 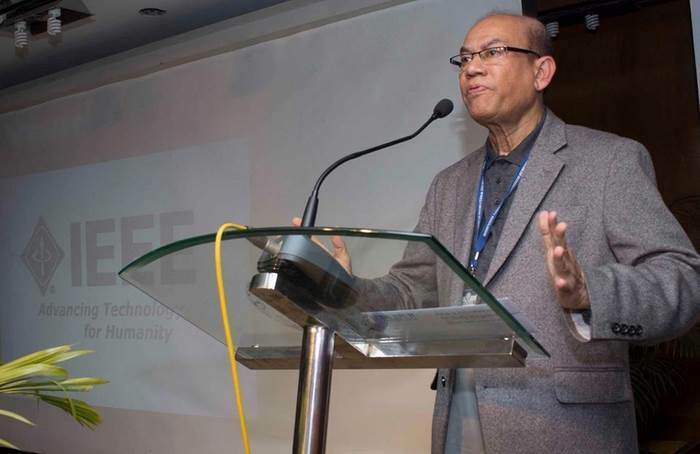 Followed by, Mr. Farhadur Arifin, Assistant Professor and the Counselor of IEEE AIUB Student Branch highlighted some imperative aspects of IEEE and appreciated the student members for their immense response. Mr. Nasim Al Islam, Vice Chairperson of 2014 and newly appointed Chairperson of 2015 gave an informative presentation about IEEE & its operations, missions, affinity groups and societies for the better understanding to the student members. Several video presentations reflecting IEEE AIUB Student Branch’s entire journey of last few years captured the members’ attention. Women In Engineering (WIE) wing was announced with 3 female student coordinator and faculty Coordinator Ms. Tasnuva Tasneem, Lecturer, Faculty of Engineering also Publicity, and Promotion Coordinator in the newly declared 2015 Executive committee for WIE Affinity Group, IEEE Bangladesh Section, gave a short speech on the empowerment of the female engineering students nationally and globally. 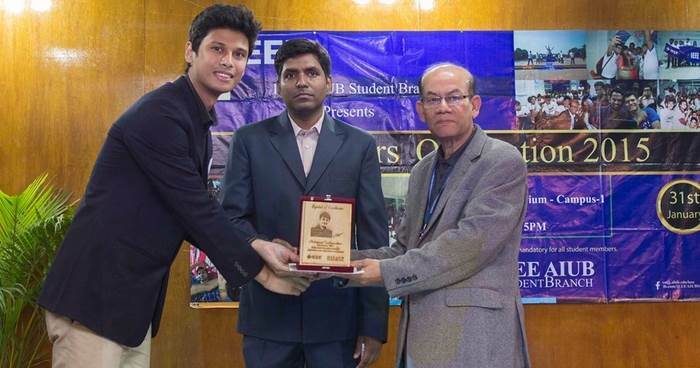 Crests were awarded to Dr. A.B.M Siddique Hossain Honorable Dean Faculty of Engineering, Mr. Manzur H. Khan Director of OSA, Mr. Farhadur Arifin Counselor of IEEE AIUB Student Branch,Mr. Kazi Ahmed Asif Fuad Teaching Assistant, Department of EEE, and to all Executives of 2014 in recognition of their hard work and support. 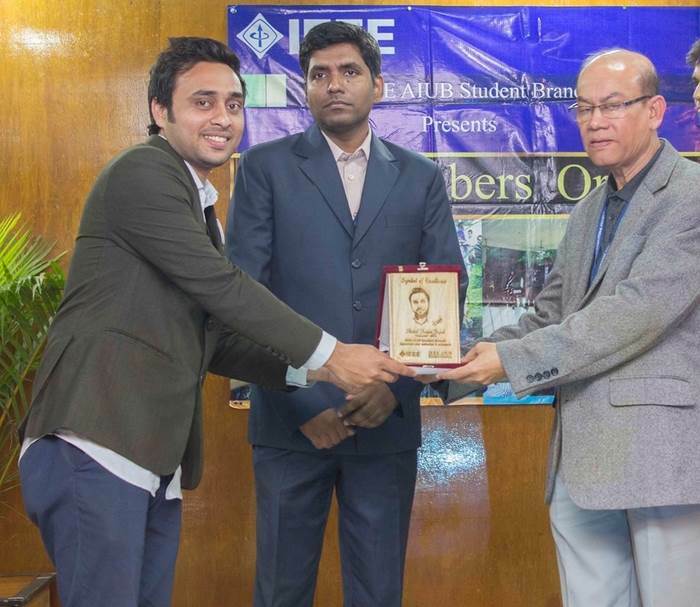 A special award was given to Mr. Nafiz Ahmed Chisty Assistant Professor and Special Assistant, Department of EEE, for being the longest IEEE Member from EEE Department of AIUB. The Executives of 2014 then presented the Volunteers of 2014 with certificates and shared their experiences throughout the year. Ex- Chairpersons also shared their experiences of IEEE journey with the attendees. Mr. Chowdhury Akram Hossain, Sp. Assist. OSA, Asst. Prof. 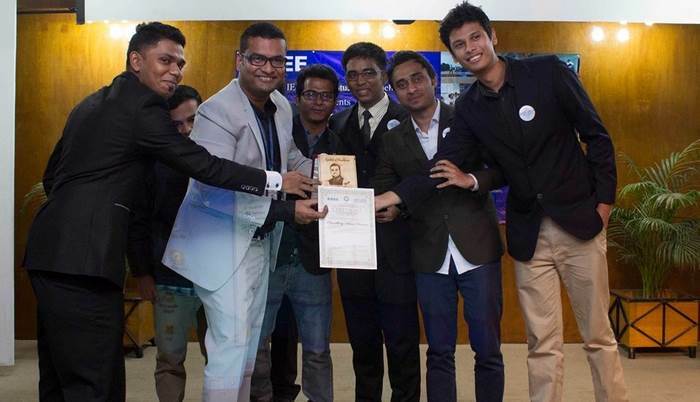 Faculty of Engineering & Mentor of IEEE AIUB Student Branch and Mr. Md. Saniat Rahman Zishan Sp. Assist. OSA, Asst. Prof. 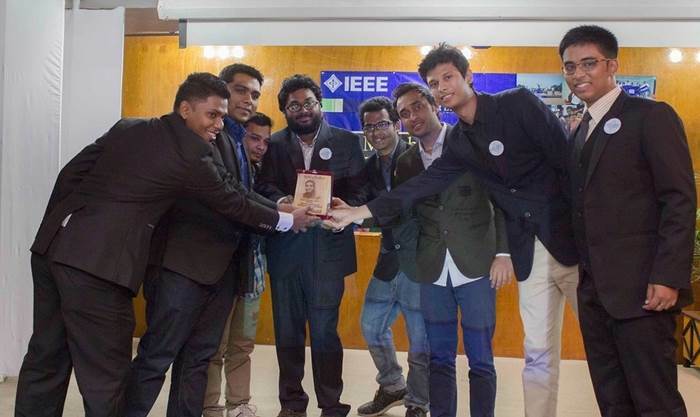 Faculty of Engineering & Advisor of IEEE AIUB Student Branch were given crests from the executive body of 2014 and after that they interacted with the members and declared the new Executive body of 2015 where new faces and posts were introduced. 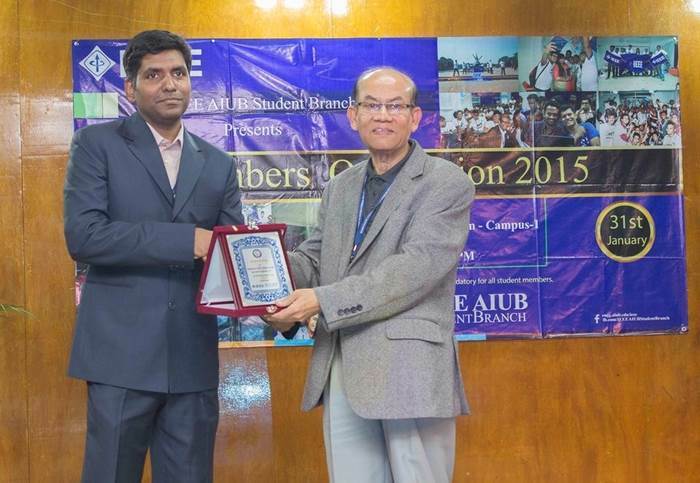 Mr. Shahriar Hasan Shehab, Lecturer, Faculty of Engineering was announced as the Motivator of IEEE AIUB SB. Later on, Member IDs were distributed among the students and the event ended with group photo sessions. 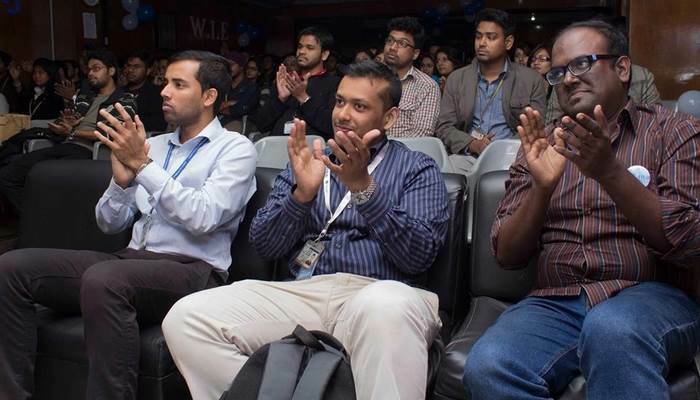 The event was also graced by the presence of Lecturers of Faculty of Engineering Mr. Sayed Muhammad Baker, Mr. Md. 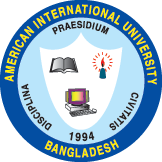 Mamunur Rashid, Mr. Tawsif Ibne Alam, Mr. Rethwan Faiz, Ms. Shahreen Hassan, Ms. Tajbia Karim, Ms. Sumaiya Umme Hani, Ms. Sadia Yasmin and Teaching Assistant, Department of EEE, Mr. Md. Rifat Hazari.